BUSINESS ON THE MOON: NASA is looking for opportunities to spur the transportation of commercial cargo to the moon. The agency is seeking proposals from companies that will partner with NASA in the development of reliable and cost-effective robotic lunar lander capabilities for the delivery of payloads to the lunar surface. Those capabilities could support commercial activities on the moon while also assisting with science and exploration missions of interest to NASA and the larger scientific and academic communities. NASA's new initiative, Lunar Cargo Transportation and Landing by Soft Touchdown (Lunar CATALYST), calls for proposals from the U.S. private sector that would lead to one or more no-funds exchanged Space Act Agreements (SAA). NASA’s contribution to a partnership could include the technical expertise of the agency’s staff, access to NASA center test facilities, equipment loans or software for lander development and testing. "As NASA pursues an ambitious plan for humans to explore an asteroid and Mars, U.S. industry will create opportunities for NASA to advance new technologies on the moon," said Greg Williams, NASA's deputy associate administrator for the Human Exploration and Operations Mission Directorate. 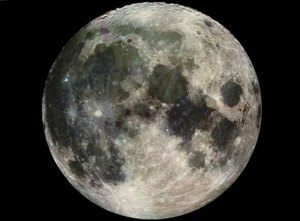 The moon has scientific value and the potential to yield resources, such as water and oxygen, in relatively close proximity to the Earth to help sustain deep space exploration. Commercial lunar transportation vehicles could support science and exploration objectives, such as returns of samples, geophysical network deployment, resource prospecting, and technology demonstrations. These services would require the ability to land small (66- to 220- pound, or 30- to 100-kilogram) and medium (551- to 1,102-pound, or 250- to 500-kilogram) class payloads at various lunar sites. NASA will host a pre-proposal teleconference on Jan. 27 so companies can ask questions about the announcement. Proposals from industry are due by March 17. The announcement of selections is targeted for April with SAAs expected to be in place by May. PROPOSALS IN FOR 2020 MARS ROVER: NASA has received 58 proposals for science and exploration technology instruments to fly aboard the next Mars rover in 2020, twice the usual number submitted for instrument competitions in the recent past, and an indicator of the extraordinary interest in exploration of the red planet. The agency is beginning a thorough review to determine the best combination of science and exploration technology investigations for the mission and hopes to make the final selections in the next five months. The Mars 2020 mission will be an important step toward meeting President Barack Obama's challenge to send humans to Mars in the 2030s. The mission will conduct geological assessments of the rover's landing site, determine the habitability of the environment, search for signs of ancient Martian life, and assess natural resources and hazards for future human explorers. The instruments aboard the rover also will enable scientists to identify and select a collection of rock and soil samples that will be stored for potential return to Earth in the future. That will achieve one of the highest-priority objectives in the National Research Council's 2011 Planetary Science Decadal Survey. Analysis of the samples in laboratories on Earth will help determine whether life existed on Mars and assist with planning for human missions to the planet. The rover also may help planners of a human expedition understand the hazards posed by Martian dust and demonstrate how to collect carbon dioxide from the atmosphere, which could provide a valuable resource for producing oxygen and rocket fuel. FIRM SELECTED FOR WALLOPS WORK: NASA has selected LJT & Associates Inc., of Columbia, Md., to perform institutional services at the agency's Wallops Flight Facility in Wallops Island, Va. The contract, which provides for cost reimbursement plus an incentive fee, was awarded under the Small Business Set Aside Program. It is valued at a maximum of $257 million, including a core requirement; indefinite-delivery, indefinite-quantity orders; and three options. The options, if exercised, would extend the contract to a total of seven years. A purchase order for a separate 60-day phase-in period is associated with this acquisition. Services LJT & Associates will provide include facilities planning, engineering, and construction management; facilities operations and maintenance; construction and mission support; grounds maintenance; logistics; occupational medicine; environmental management support; records management; duplication; mail handling; custodial work; and solid waste disposal. The company also will provide visitor center services, chemical and biological laboratory support; technical facility operations; telecommunications and engineering support services; and emergency services for NASA and the Navy at Wallops.